Financial Advisor IQ - Fiduciary Rule’s Grandfather Provision: Friend or Foe? Fiduciary Rule’s Grandfather Provision: Friend or Foe? 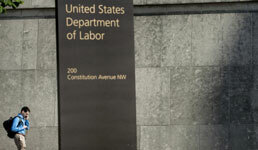 As advisors work towards implementation of the Department of Labor’s fiduciary rule, one provision worth looking into and mastering is the grandfather exemption, according to InvestmentNews. The new fiduciary rule was released last month and is aimed at forcing advisors to act in the best interests of the client when it comes to retirement savings. Under the grandfathering provision, investment recommendations made prior to April 10, 2017 will not be held to the same standards that take place after that date, the publication reports. As such, advisors making recommendations after that date that offer variable compensation in the form of commissions or 12b-1 fees will be required to make their recommendations in compliance with the Best Interest Contract Exemption (BICE), according to InvestmentNews. The grandfather exemption will not be a free-for-all. For example, advisors will not be able to give advice on pre-existing investments if it increases their compensation, wrote InvestmentNews. And anyone giving advice or information beyond holding an investment could, “inadvertently blow their grandfathering,” said Wagner, who added that the exemption will be most helpful for accounts that don’t require constant, ongoing attention from the advisor. Chris Finefrock, vice president of investments at ValMark Securities, an independent broker-dealer, told InvestmentNews that any investment advice that results in collecting the same fee, such as switching clients into mutual funds, would not break the rules. However, investment arrangements that come up for renewal after the applicability date could be contested. In order to thwart this, David Levine, principal at Groom Law Group, says advisors should make sure “any arrangements were entered into prior to the applicability date and haven’t expired and been renewed after that date,” according to InvestmentNews.